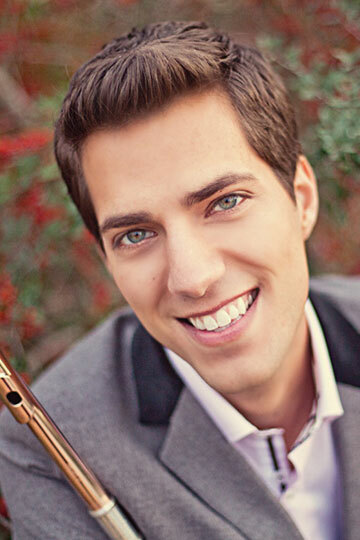 Seth Allyn Morris has served as Principal Flute with the Houston Grand Opera and Houston Ballet Orchestras since 2012. Prior to his appointment, Seth held positions the New World Symphony and West Michigan Symphony. He has performed with the Houston Symphony, Detroit Symphony, Pacific Symphony, Mercury Houston, and at the Tanglewood Music Center and AIMS Festival in Graz, Austria. As a soloist, Seth has earned many top distinctions including first prize at the National Flute Association’s Young Artist Competition, Myrna W. Brown Artist Competition, James Pappoutsakis Memorial Competition, and recently won the bronze medal at the Houston Symphony’s Ima Hogg Competition. Originally from Louisville, Kentucky, Seth went on to earn degrees at the University of Kentucky (BM, BMME), New England Conservatory of Music (MM), and the University of Michigan (DMA). For more information, please visit www.sethallynmorris.com.